A small circle of physicians — 13, to be precise — has provided the vast preponderance of approvals needed by Massachusetts patients to gain access to medical marijuana, state records show, a pattern that underscores the continued growing pains of a new industry. These doctors certified nearly three-quarters of the 31,818 patients who had received permission to use medical marijuana by early June. The concentration of approvals in the hands of so few physicians is a story of both opportunity and fear. For the baker’s dozen of doctors, medical marijuana certifications provide a robust stream of patients, who typically pay $200 out of pocket for an initial office visit. But their grip on such a large share of patient certifications illustrates that many other physicians in the state are reluctant to sign off on patients using the drug, according to the Massachusetts Medical Society. The hesitance reflects persistent concerns about the possible legal repercussions for their medical licenses if they prescribe a drug the federal government classifies as dangerous, with “no currently accepted medical use.” It also underscores the lingering doubts about marijuana’s health risks and benefits, said Dr. James Gessner, president of the society. State rules prohibits waiting lists, but many patients apparently were not aware the practice was illegal. These worries only intensified when state regulators in May and June yanked the licenses of two physicians accused of improperly certifying thousands of patients for marijuana use. Both suspended doctors worked in offices that specialize in issuing marijuana certificates. Some major teaching hospitals forbid their physicians from certifying patients for marijuana use, but in some cases, doctors have been circumventing restrictions by referring patients to clinics that specialize in granting certification. One such clinic is Integr8 Health, a Maine medical marijuana physicians practice that opened an office in Burlington about three years ago. The office includes two doctors who have certified roughly 2,000 Massachusetts patients since October 2014, when the state launched its online registration system for patients and physicians and started tracking the growth. Brad Feuer, Integr8’s chief executive, said his company follows strict rules in certifying patients, and is committed to establishing strong ties between doctors and patients, despite its volume of cases. He said his physicians and nurses typically spend about one hour evaluating a patient on the first visit, in addition to reviewing a patient’s medical records before issuing a certification. The clinic, he said, has recently seen a striking increase in referrals from medical practices with physicians who are hesitant to issue patient certifications or forbidden by their own companies. “Doctors are very scared of the [medical] board and very reluctant to recommend medical cannabis in Massachusetts, because the Massachusetts Medical Society has come out against it,” Feuer said. The society opposed the 2012 state law that legalized marijuana for medical use in Massachusetts, and Gessner said the organization remains frustrated by a lack of studies regarding marijuana’s potential health risks and benefits. State rules require physicians to complete one course about marijuana, including its side effects and signs of substance abuse, if they want to recommend the drug to patients. Physicians then must register online with the state Health Department, which grants them permission to certify patients as eligible for medical marijuana use. Patients must also register with the online system to complete the certification process. State regulations list nine diseases and conditions that can qualify a patient for marijuana use, including cancer, multiple sclerosis, Parkinson’s disease, and Crohn’s disease, but also gives physicians wide latitude to recommend use for any other “debilitating condition,” such as nausea and pain. One physician who has referred patients to Integr8 is Dr. Andrea L. Seek, a 52-year-old senior staff psychiatrist at Lahey Hospital & Medical Center, just down the street from Integr8. Some physicians at Lahey are not keen on the idea of a nearby marijuana physician’s practice, Seek said, but she was intrigued. Seek walked into Integr8 a few months after it opened in October 2013, asked for a tour, and spoke with its physicians. Then, she invited them to Lahey to present information about marijuana to Lahey’s medical staff. The Lahey psychiatrist treats patients with serious mental health and medical problems, patients with depression and cancer, post-traumatic stress, and gnawing neurological pain. An increasing number were asking her questions about medical marijuana. Seek, who said she does not suggest marijuana as a first-line treatment, estimated she has referred 20 to 50 patients to Integr8. Michael Morrison, a hospital spokesman, said the referral resource has not yet been launched and was unable to say whether many Mass. 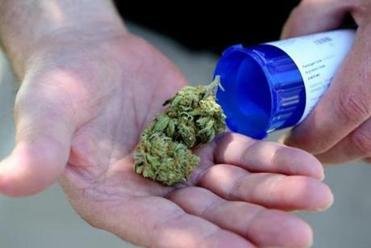 General physicians were referring patients to outside marijuana practices. One physician who is receiving scores of referrals is Dr. Jill Griffin, who opened a medical marijuana practice in Northampton in 2013. State records show Griffin, 56, has certified the most patients in Massachusetts — 3,284 by early June. Griffin’s attorney, Michael Cutler, said many of the certifications Griffin has issued were for patients referred to her by other physicians. Griffin, who directed the emergency department at one Springfield hospital and worked in the emergency department of another facility, is well known in the region, Cutler said. But state records suggest sentiment among doctors may be slowly changing. 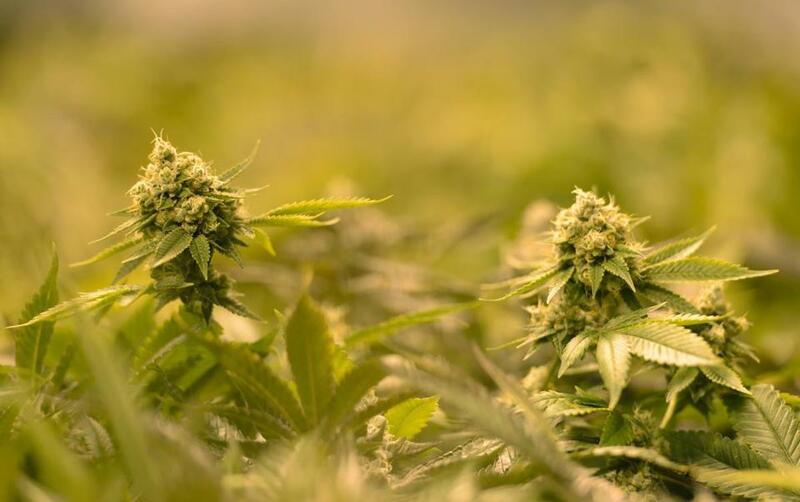 The number of physicians registered with the state to certify patients for medical marijuana use has nearly doubled in the past year, to 150 — although that still represents only a tiny fraction of the more than 30,000 doctors practicing in the state. Dr. Anne Rogal, a 61-year-old Milton primary care physician, said she certified her first patient in December. She has approved seven patients to use medical marijuana, according to state records. Rogal said the drug is especially helpful for a patient experiencing severe nausea caused by powerful medications prescribed for her sarcoidosis, an inflammatory disease that typically produces abnormal growths in patients’ lungs. In Southbridge, 63-year-old family physician John Howland said he decided to start certifying patients because he worries that clinics churning out thousands of certifications may not fully understand each patient’s medical history. He has certified seven, state records show. “It’s quite effective in certain patients, and it’s a much safer alternative than opiates,” Howland said. His handful of recommendations for marijuana use have been for patients with chronic pain. Kay Lazar can be reached at kay.lazar@globe.com. Follow her on Twitter @GlobeKay-Lazar.